"I started out in nursing and discovered I wanted to learn and do more to make a difference in people's lives. I try to personalize my approach with my patients and provide the type of care and guidance that best meets their needs." Donna Richey, M.D. started her medical career as a Registered Nurse in 1977 and then received her Doctor of Medicine at University of California, Los Angeles, School of Medicine in 1987. She completed her internship and residency at Los Angeles County and University of Southern California in 1991. 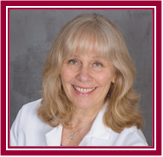 She was appointed Clinical Professor, Department of Obstetrics and Gynecology at Harbor/UCLA in 1991 and served patients in two different offices until 2001 when she joined ProHealth and opened her own practice. After many years of running a successful Obstetrics and Gynecology practice in ProHealth, she decided to join a Foundation, Providence Health Services in Torrance. Realizing she missed a private practice model, Dr. Richey has returned to ProHealth Partners and has opened her own practice in Torrance. She has hospital privileges at Little Company of Mary Hospital and Torrance Memorial Medical Center.